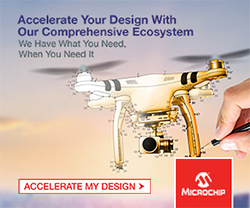 Targetting 48V DC/DC, motor drives and lidar applications, the EPC2052 by Efficient Power Conversion (EPC) offers power systems designers a 100V, 13.5mOhm, power transistor capable of 74A pulsed in an extremely small chip scale package (CSP). 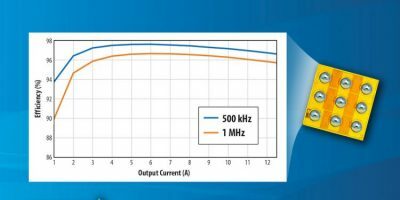 According to EPC, in 48 to 12V DC/DC power converters, these eGaN FETs achieved greater than 97 per cent efficiency at 500kHz and greater than 96 per cent efficiency at 1.0MHz. The EPC2052 is a 100V GaN transistor with a maximum rds (on) of 13.5mOhm and a 74A pulsed output current for high efficiency power conversion. It is packaged in a tiny 150 x 150mm footprint. EPC points out that the cost of the EPC2052 brings the performance of GaN FETs at a price comparable to silicon MOSFETs. 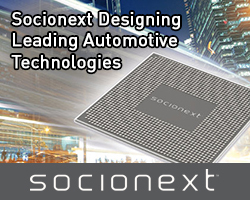 Target applications to exploit the performance, size and cost benefits include 48V input power converters for computing and telecomms systems, lidar, LED lighting, and Class-D audio. The company also supplies a development board for the GaN power transistor. The EPC9092 development board is a 100V maximum device voltage, half bridge, featuring the EPC2052, and the LMG1205 gate driver from Texas Instruments. The 2.0 x 2.0 (50.8 x 50.8mm) board is designed for optimal switching performance and contains all critical components to evaluate the 100V EPC2052 eGaN FET. 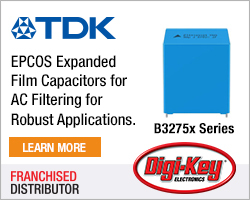 Both board and FET are available now for immediate delivery from Digi-Key. EPC specialises in enhancement mode gallium nitride (eGaN) -based power management devices. It was the first company to introduce eGaN FETS as power MOSFET replacements in applications such as DC/DC converters, wireless power transfer, envelope tracking, RF transmission, power inverters, remote sensing technology (lidar), and Class-D audio amplifiers with device performance many times greater than the best silicon power MOSFETs. EPC also has a growing portfolio of eGaN-based ICs.